This sock is a hard wearing Merino wool sock for winter sports. It is a technical sock, designed to give comfort and reliability under cold conditions. The sock is 70% Merino wool, 25% nylon and 5% spandex. 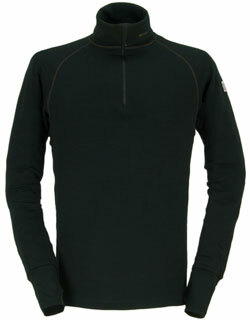 The inside of both foot and leg are a comfortable terry knit, 80% Merino with 20% nylon, for long reliable wear. The arch and ankle are supported by spandex to ensure the sock stays in place. The outside of the sock has more nylon to give good wear resistance. The sock is treated with ProtectGuard®, an anti-microbial/anti-odor treatment and Air-vent® for natural removal of heat and moisture. Sock length is 12 inches. Machine wash, tumble dry. Made in Canada. Numerical sock sizes are given as the length of the foot in inches. This length does not correlate precisely with shoe size, as the fit depends on both the stretch of the sock and width of the foot. J.B. Field's wool socks are made to stretch and adapt readily. If you are at the top of the range for a size, and your foot is wide, take the next size up. If you are at the bottom of the range for a size, and your foot is narrow, take the next size down.